"We" are excited for "Us". No one knows exactly what “Us”‘s plot is about. 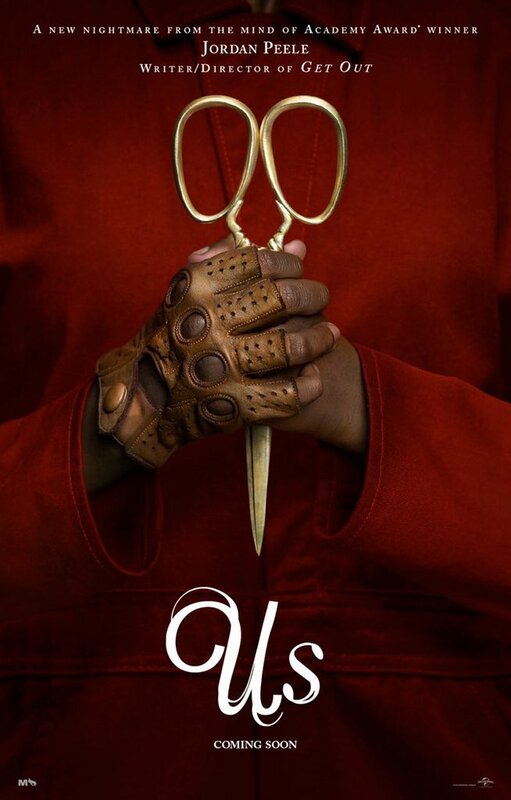 What we do know however is inviting and honestly enough: this is Jordan Peele’s second directorial feature after he made the culture shock that is “Get Out”. “Get Out” gave the wider populace a language to discuss issues of racial isolation that wasn’t in the wide lexicon before. When Kanye was dismissing that he was changing into something much worse than himself during his long, drawn out and dedicated flirtation with the alt-right, he said he was not in the “sunken place”, i.e., that place where Bradley Whitford’s victims were sent to when they inhabited the bodies of their caucasian buyers. So whatever Jordan Peele brings about is loaded with a lot of promise, and without further ado, here is the poster of his next highly anticipated motion picture: “Us”. So what does the poster tell us? I don’t know! Not too much! We see a pair of hands holding a pair of golden scissors with a begloved hand and a very fashionable maroon coat. There is nothing to read into this, only a palpable excitement over Jordan Peele giving us more movie. It’s crazy how Peele went from the dumb one in every Key and Peele sketch to being Orson Welles meets Alfred Hitchcock. Someday the incredibly fun Keanu will get a half ironic Criterion Collection release, as we see artful documentaries about Tiffany Haddish cuddling that adorable kitten, and a 45 minute interview with Keanu Reeves about how it felt to voice the cat for five minutes. But for now… “Us”. “Us” is a movie starring Lupita Nyong’o, Winston Duke and Elizabeth Moss as a couple and a friend who come to relax at a summer home, only to be menaced by “strange visitors”, one of who may or may not be Tim Heidecker (whose presence in this movie is its own reinvention). We’ll see how things shake out. Hopefully, well. Probably not. It’s a horror movie after all. We’ll see, folks. 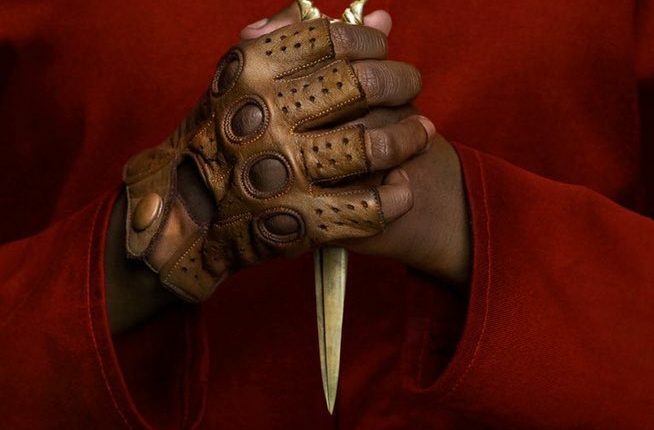 Jordan Peele teased a trailer release for Christmas, so we’ll know more about the film when that is released. What do you think of the poster for “Us”? Let us know in the comments or on Twitter at @WhatsTrending.